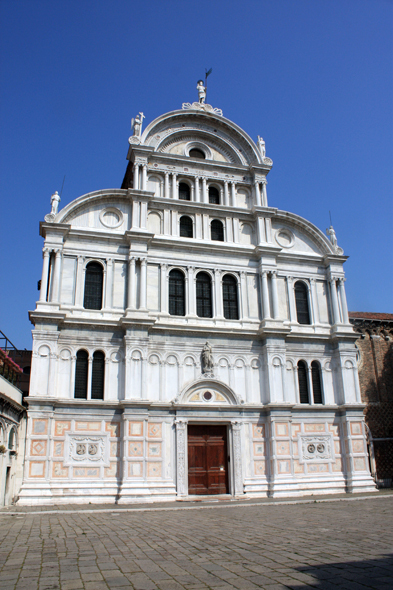 The church of San Zaccaria (Chiesa di San Zaccaria). The very rich Benedictines had no respite to reshape their church. The definitive result produces an unusual effect. The main facade, with its succession of little columns and glasses, shows a face Renaissance clearly.